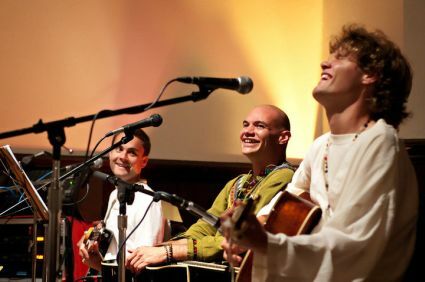 Date & Time: Saturday, February 26th, 7:30 - 9:30 p.m.
Come join Pranam for an amazing evening of World Devotional Music! We have a lot of special treats planned for the concert, including new songs, a costume change, and the sacred groove - don't miss the excitement! $20 in advance/$25 at the door. To purchase your ticket in advance, please visit http://www.liveyourradiance.org/pranam-world-devotional-music. For more information, contact Peter DeWitt at (949) 282-7756 or peter.dewitt@yahoo.com.